MOUNTAIN VIEW, Calif. -- A 35-year-old man was arrested in a fatal stabbing during a teen's birthday celebration in unincorporated Morgan Hill over the weekend, a Santa Clara County sheriff's spokesman said. 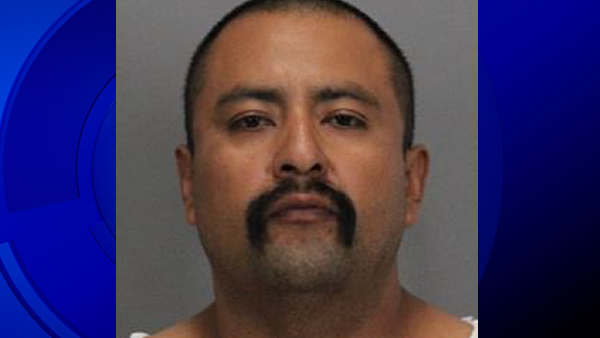 Gonzalo Julio Morales, of San Jose, was arrested on suspicion of murder for the killing of 34-year-old Jacobo Rojos-Vilchis, of Milpitas, during a fight at a quinceaera, also known as a 15th birthday party, sheriff's Sgt. James Jensen said. Deputies responded around 11:15 p.m. Saturday to a report of a fight involving multiple people during the party at a home in the 600 block of San Bruno Avenue, Jensen said. Arriving deputies found the victim, later identified as Rojos-Vilchis, suffering from multiple stab wounds, and rendered aid to him, according to Jensen. Firefighters and emergency medical service providers also responded, but Rojos-Vilchis was pronounced dead at the scene, Jensen said. The suspect left before deputies reached the home, according to Jensen. Investigators were able to identify Morales as the suspect and found him Monday at a Mountain View home, where they found his bloody jeans in a garbage can at the residence, Jensen said. A knife used in the stabbing was thrown from a car and was found in the area of U.S. Highway 101 and Bailey Avenue, according to Jensen. Morales was booked into Santa Clara County Main Jail, where he is being held without bail, according to jail records.